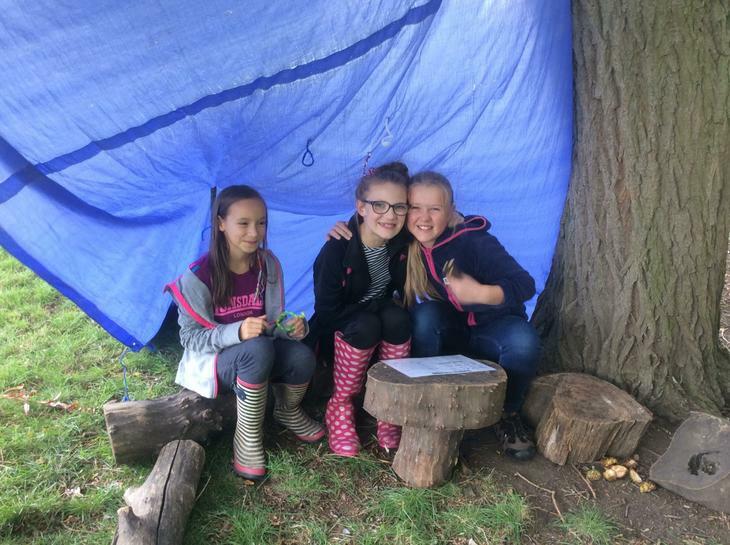 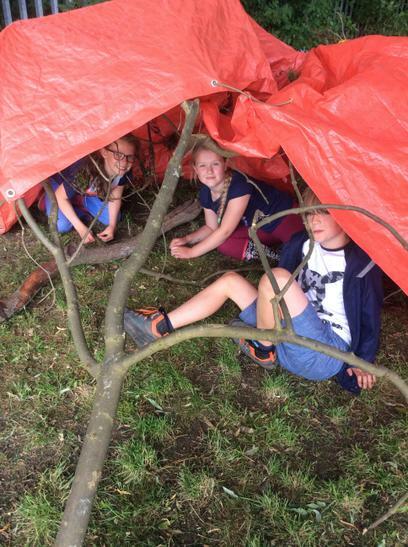 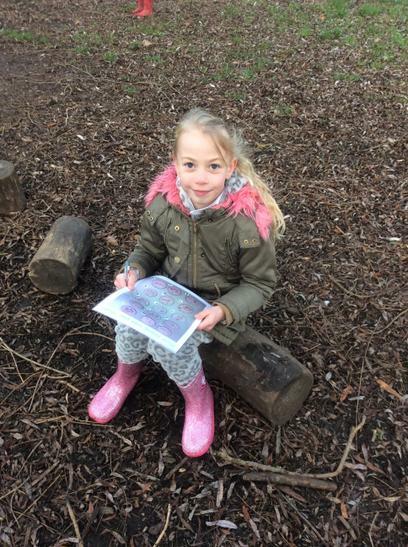 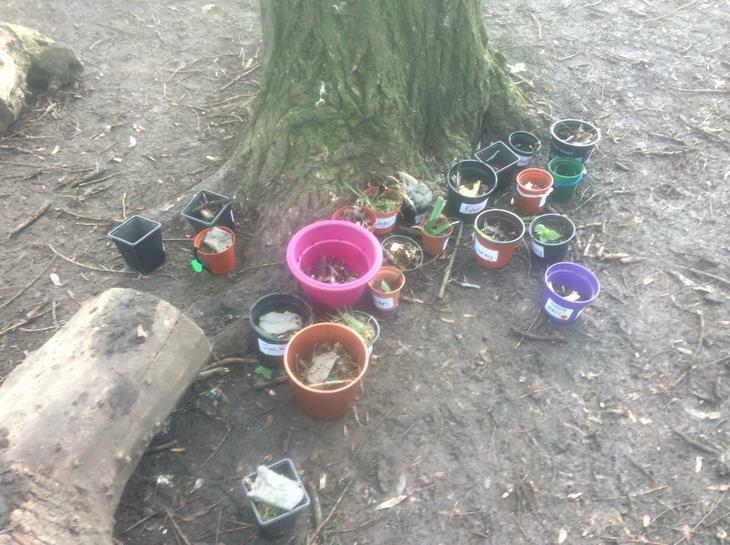 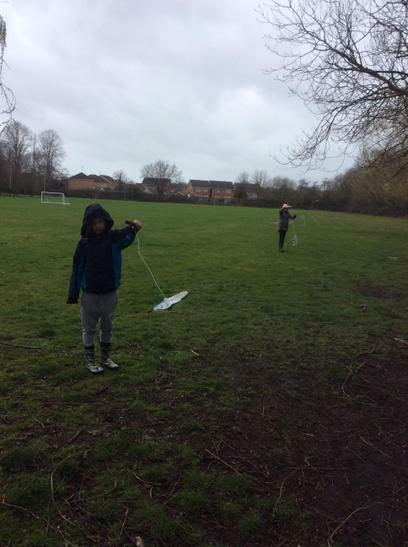 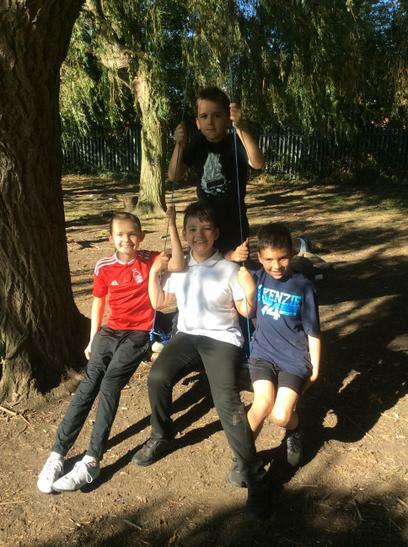 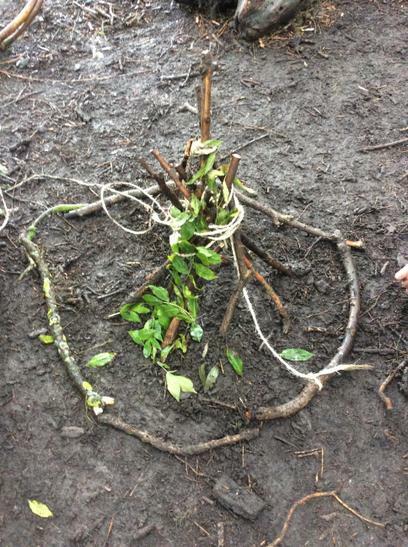 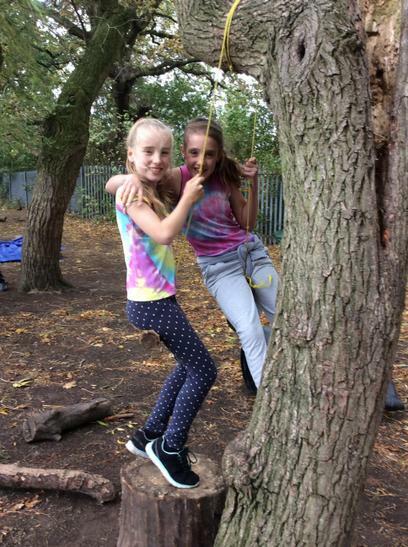 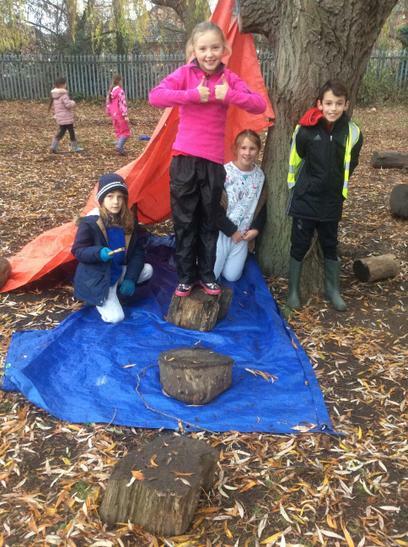 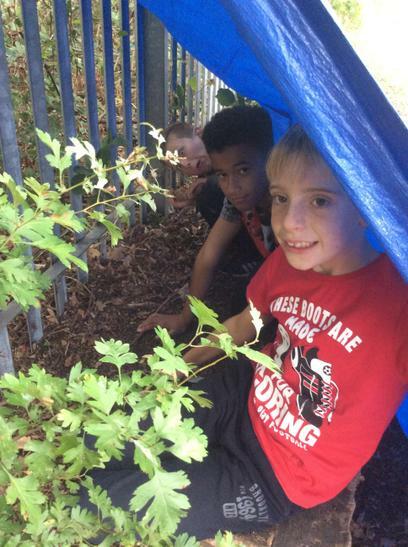 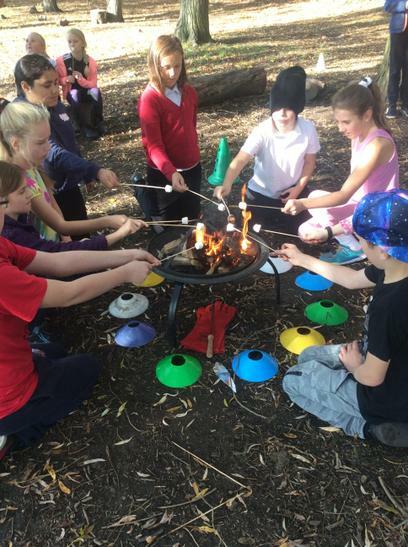 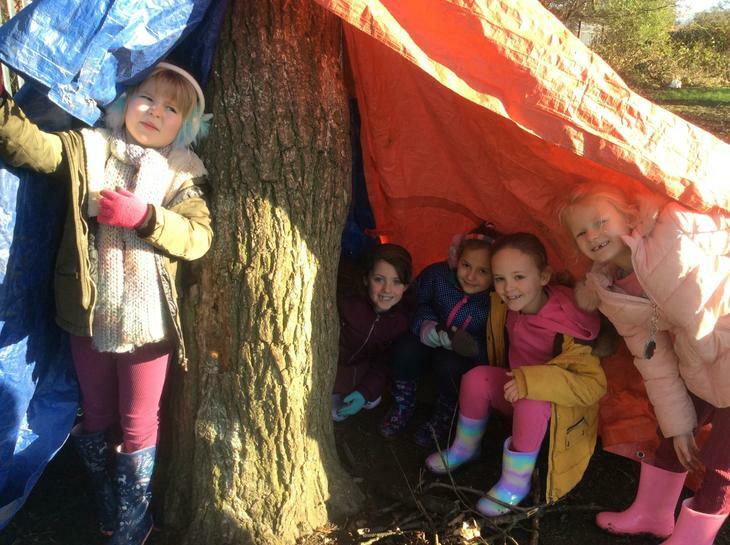 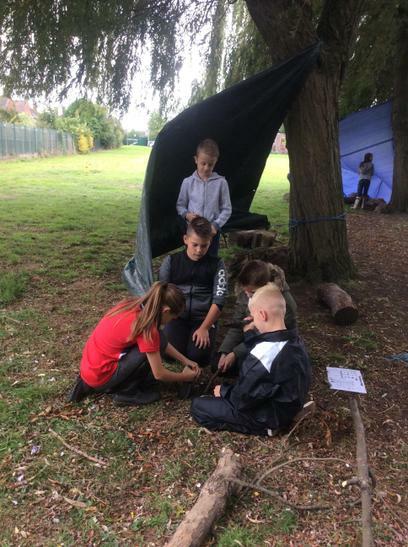 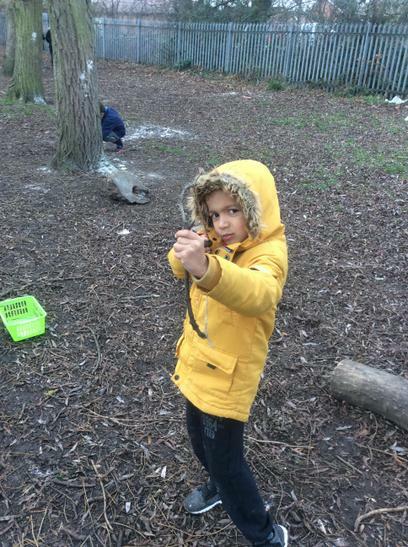 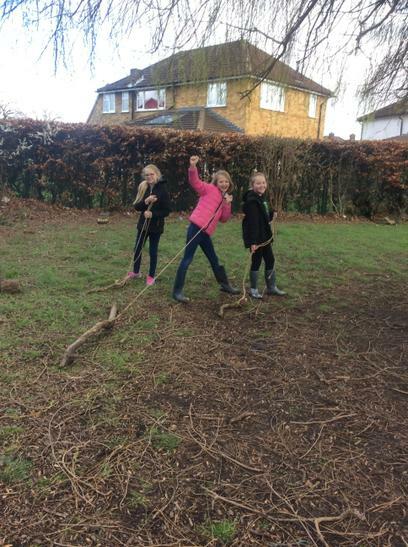 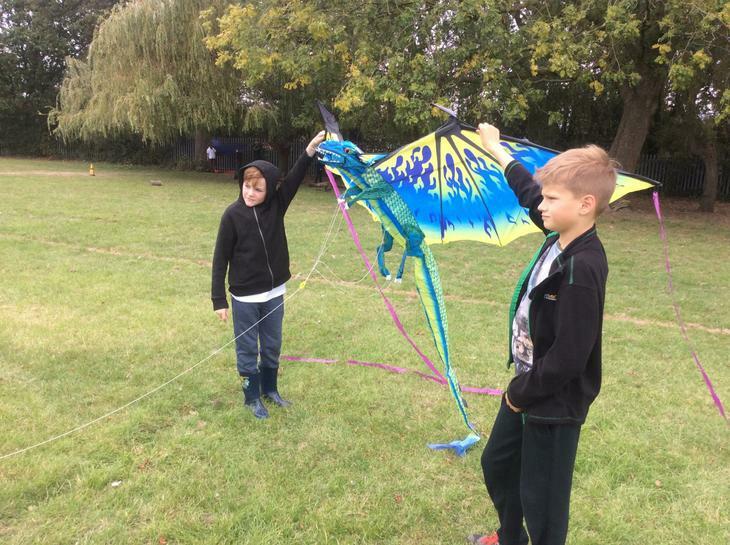 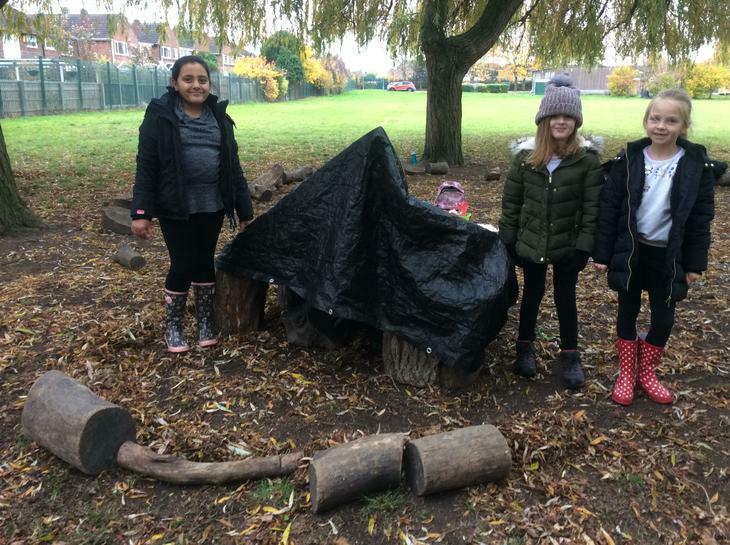 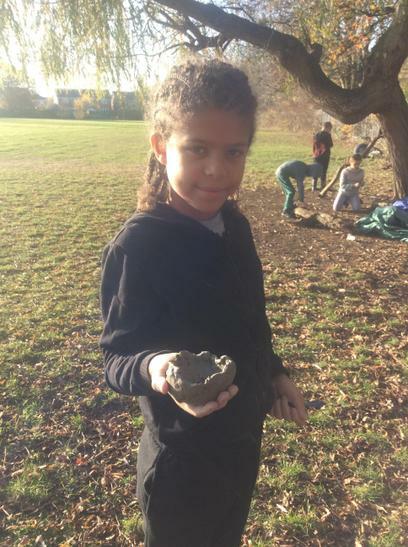 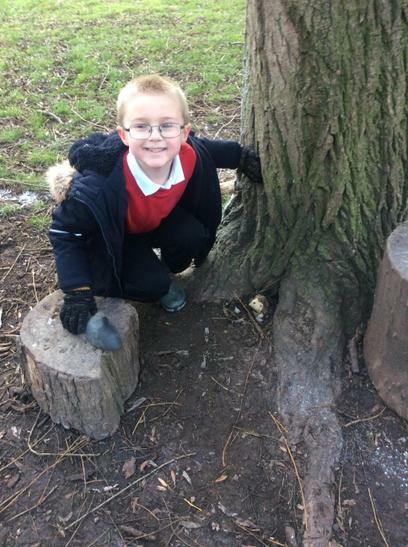 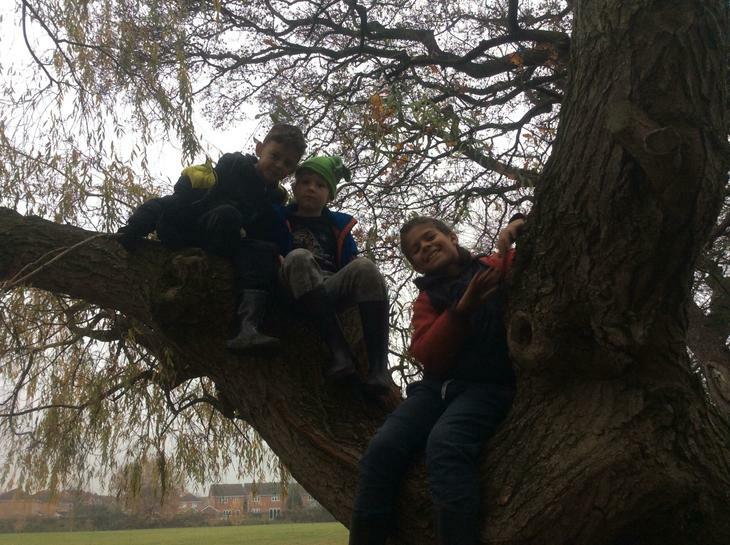 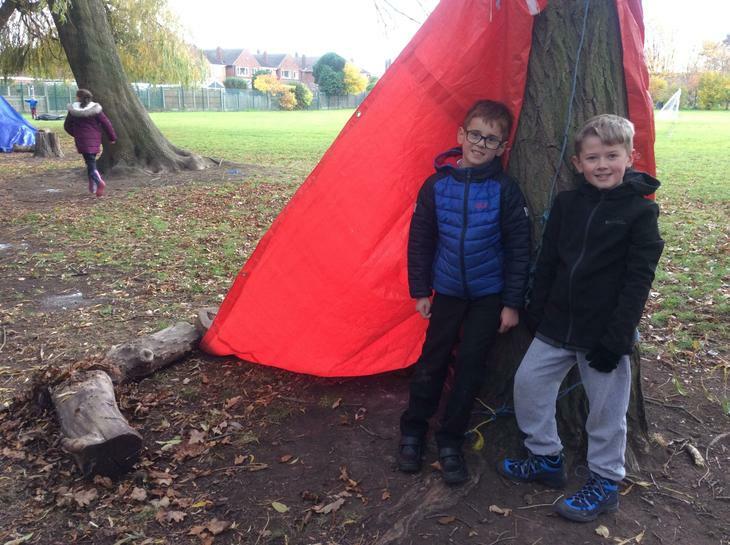 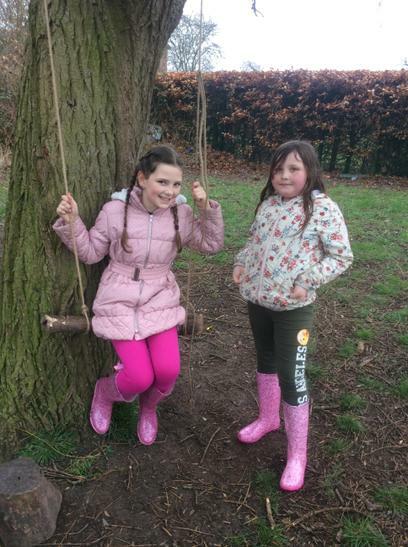 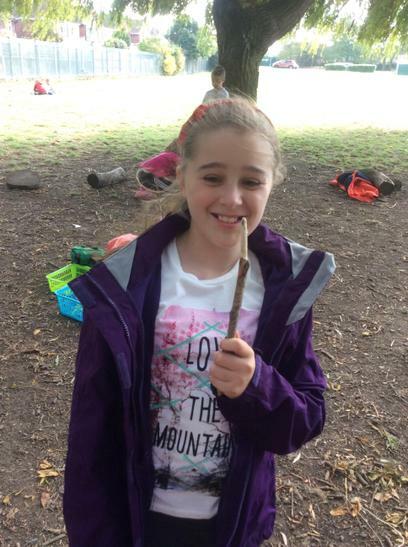 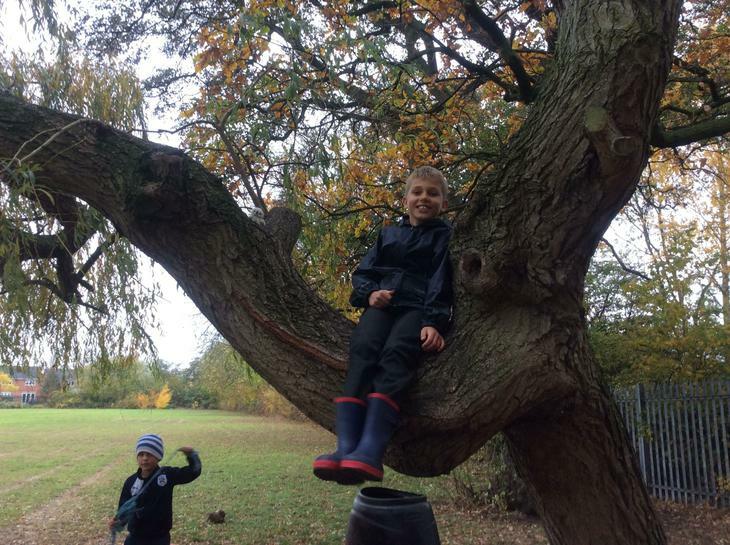 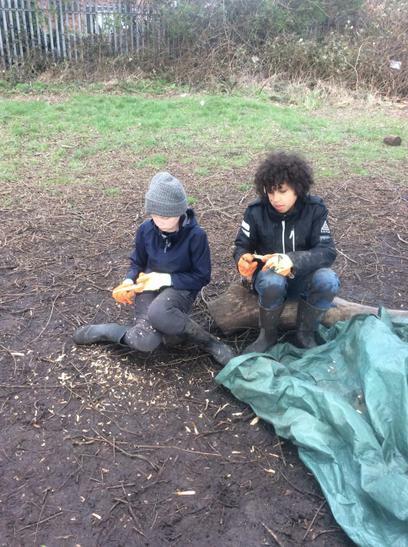 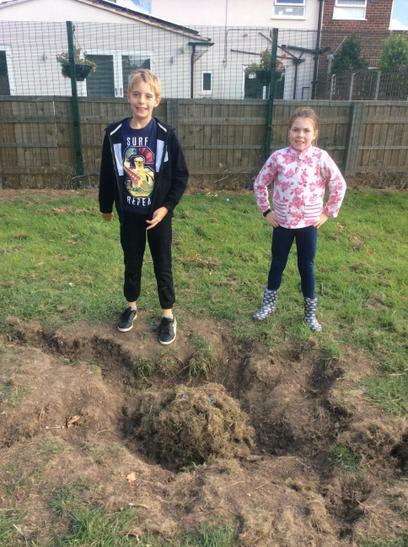 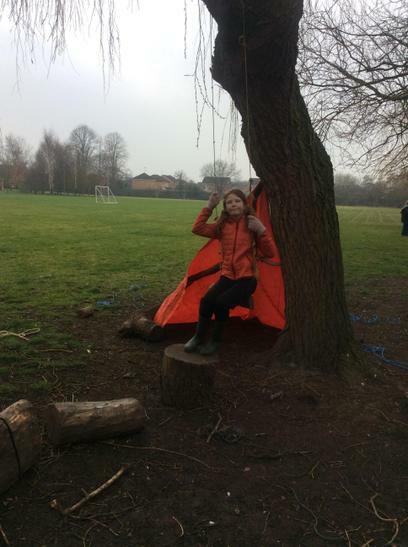 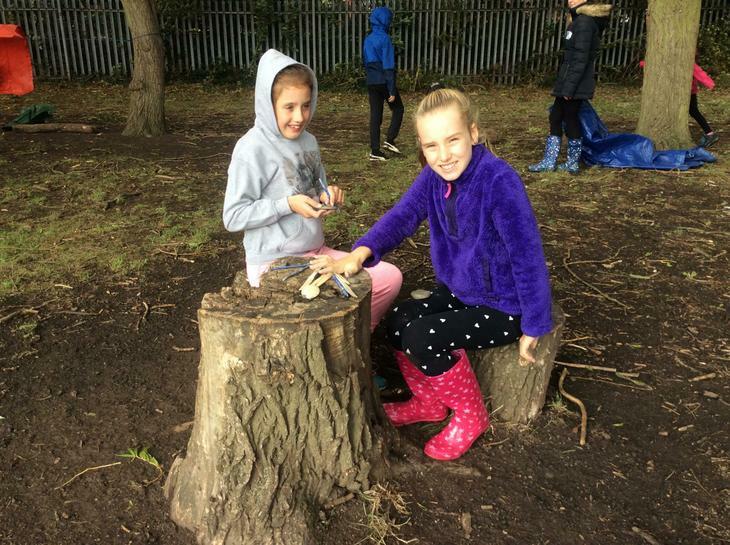 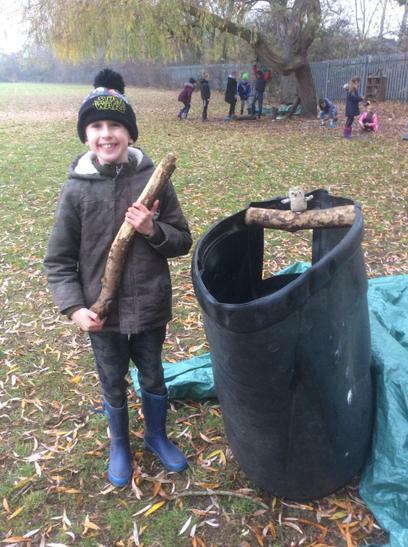 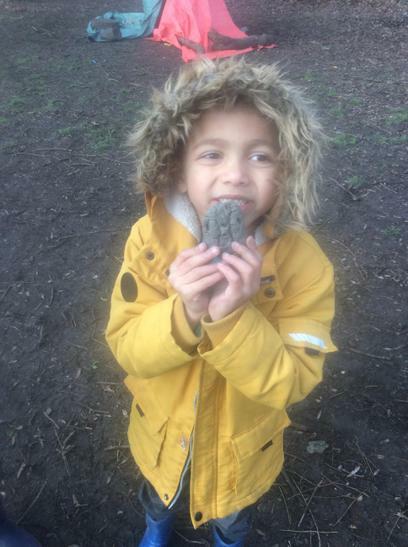 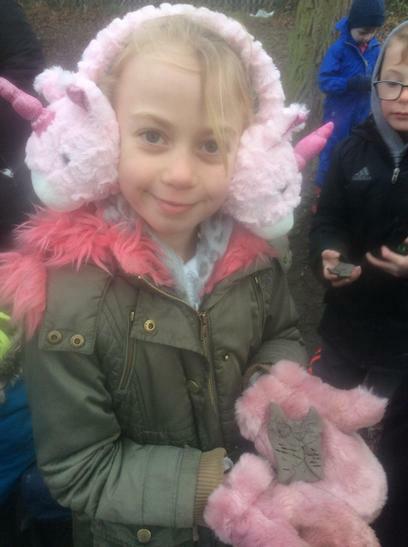 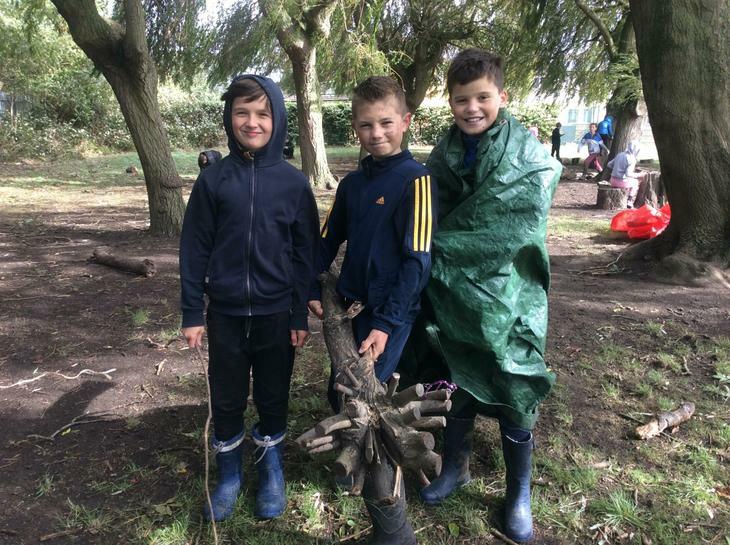 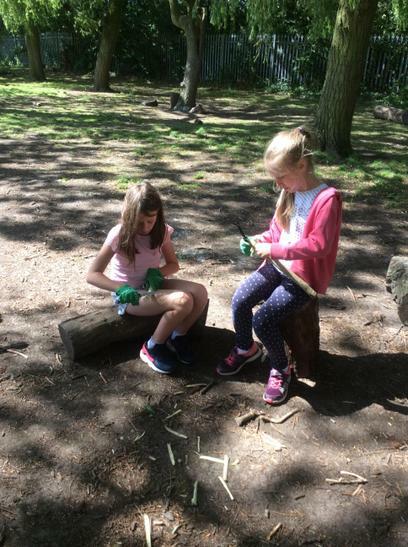 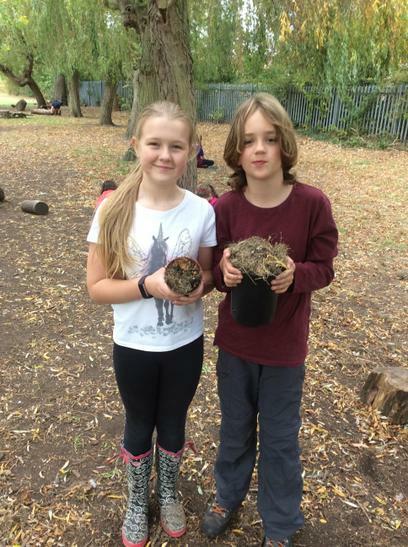 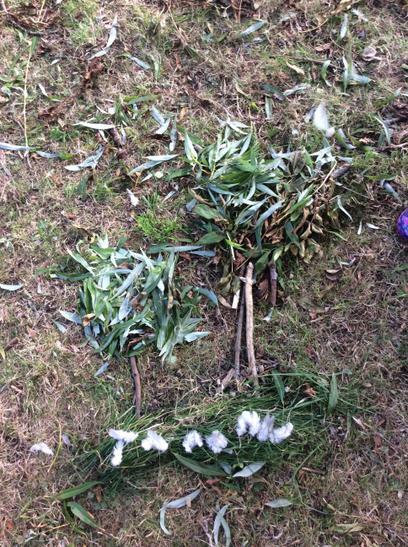 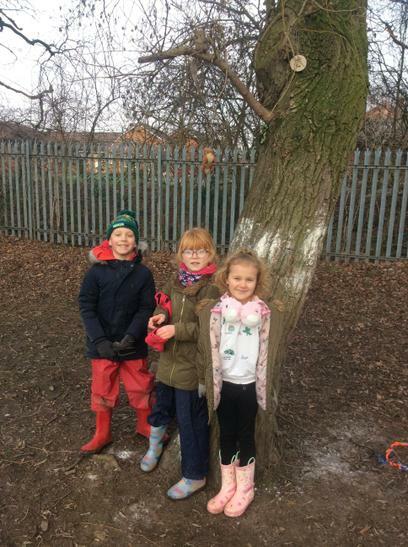 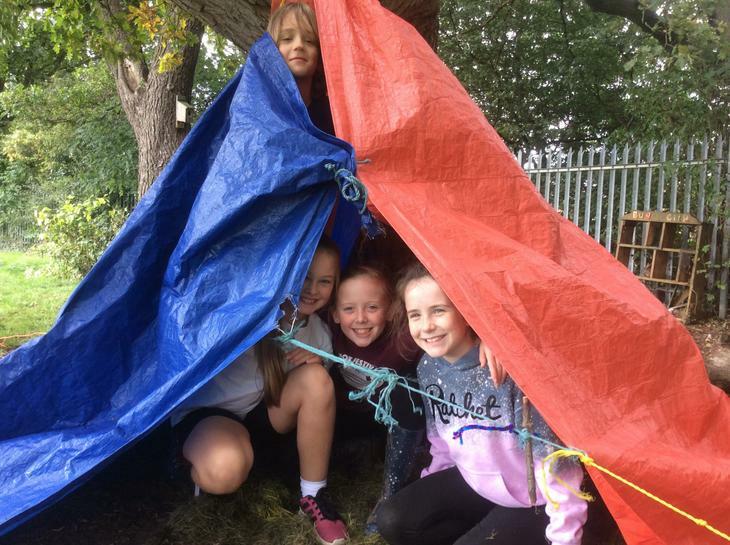 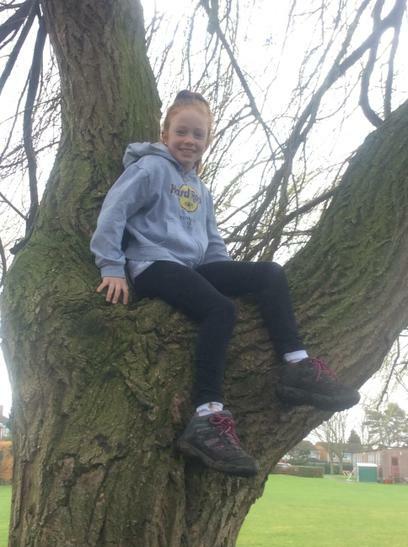 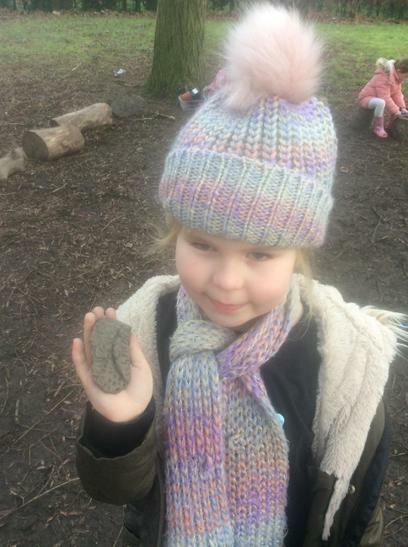 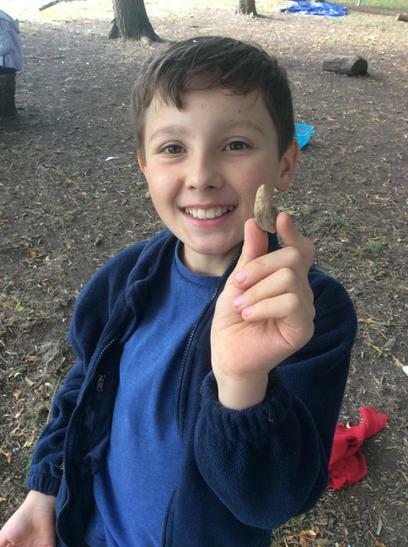 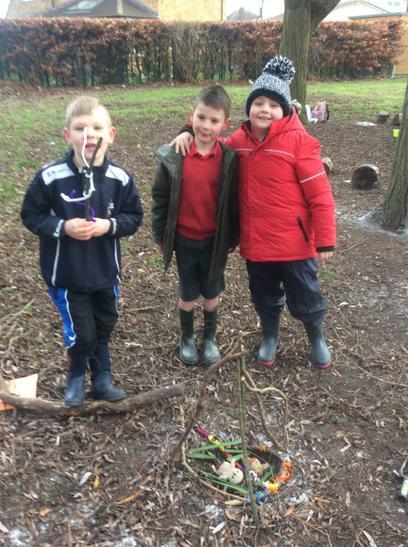 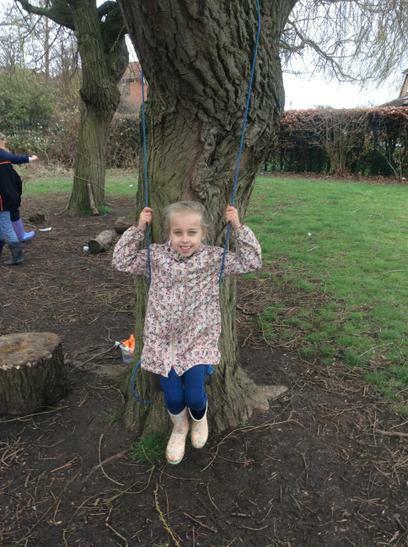 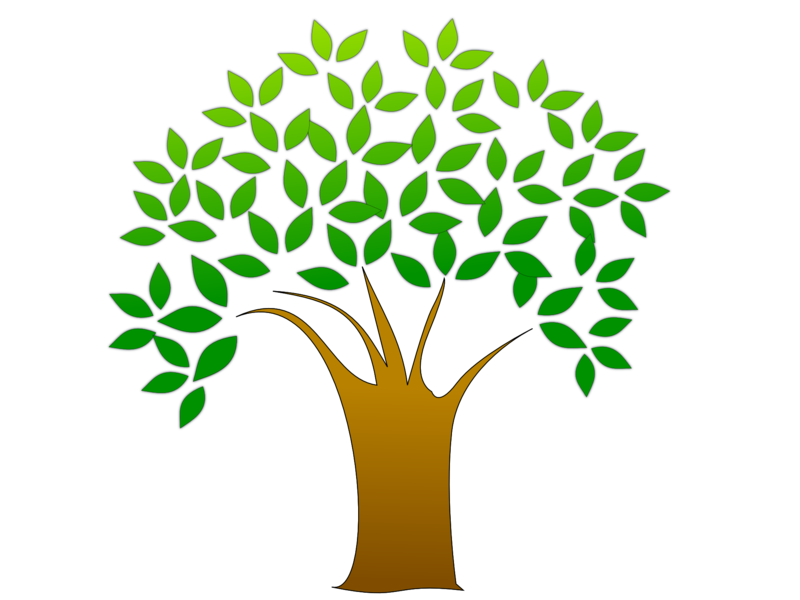 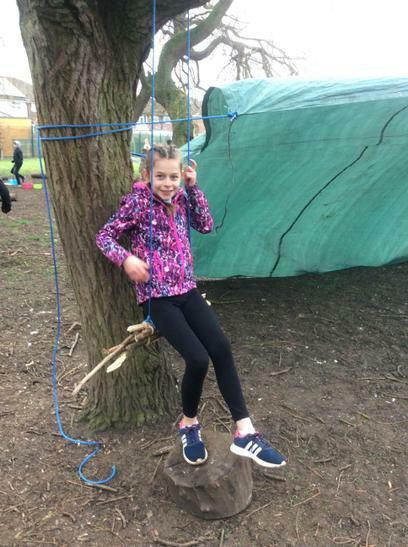 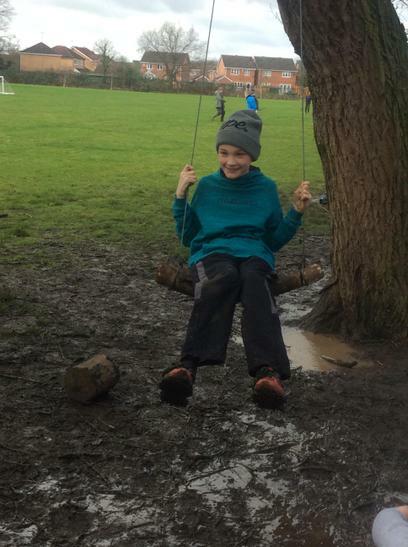 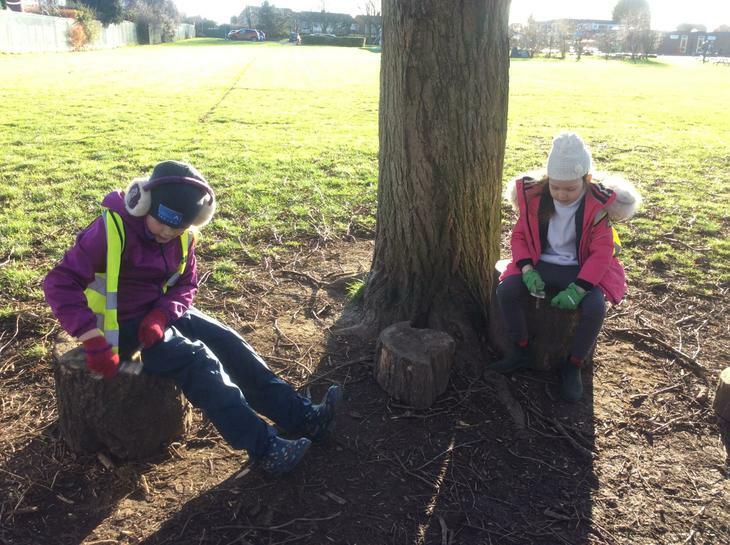 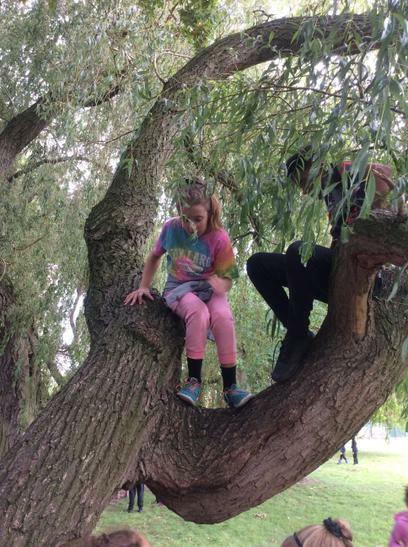 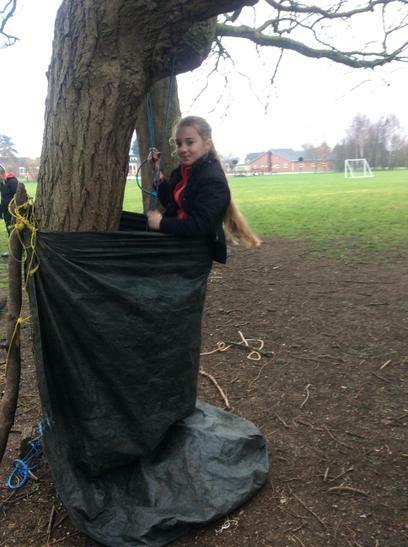 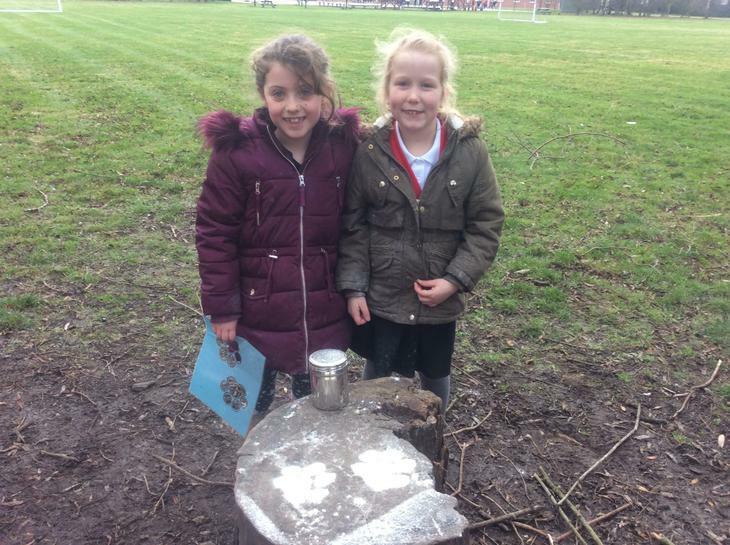 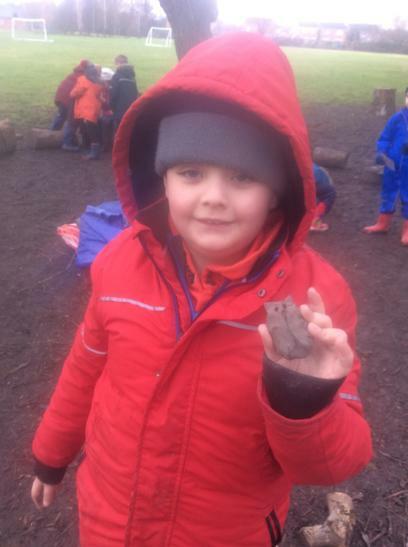 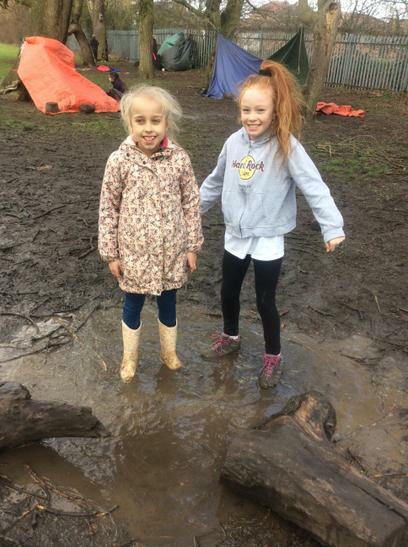 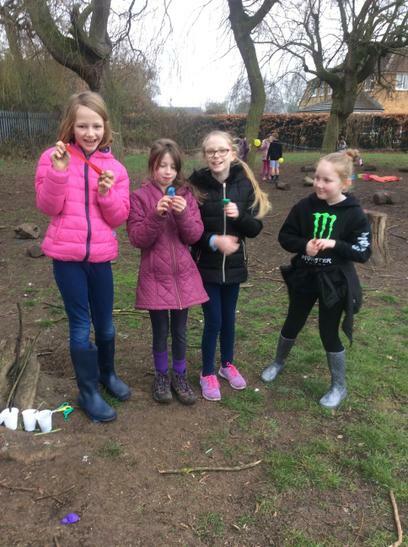 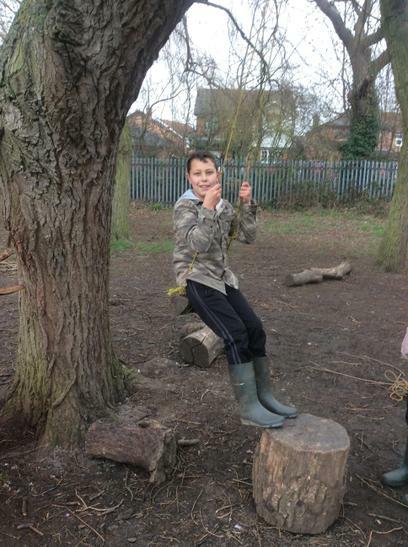 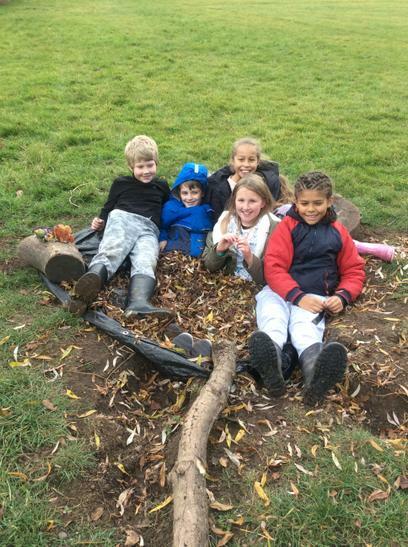 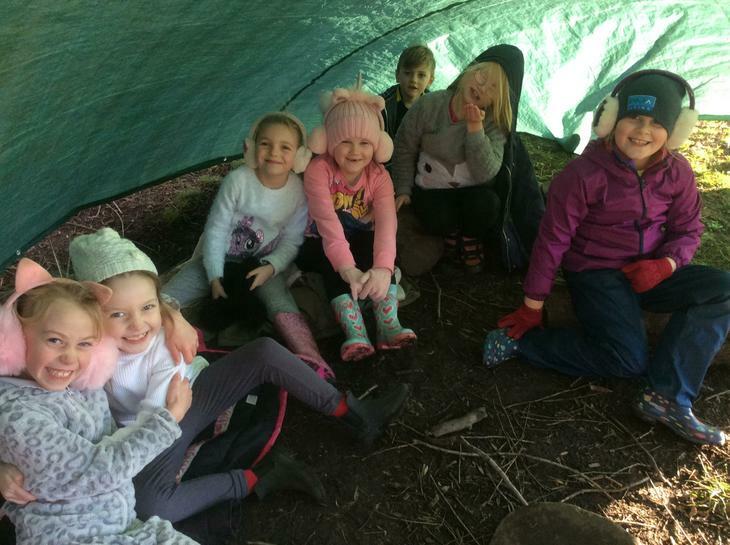 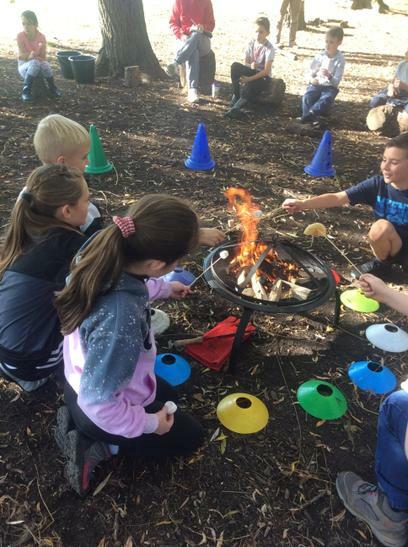 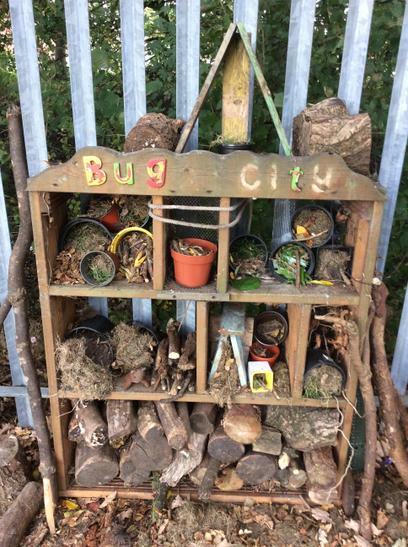 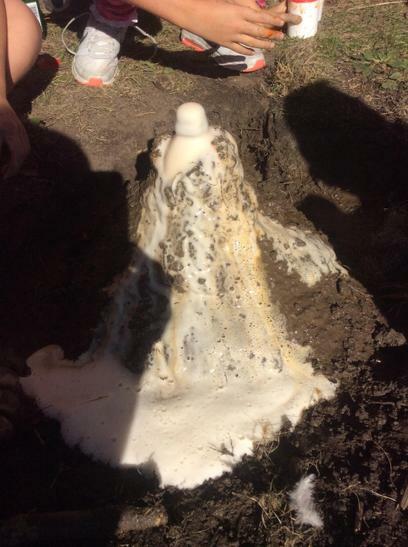 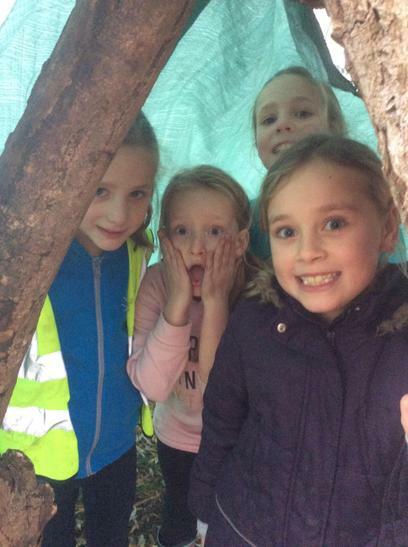 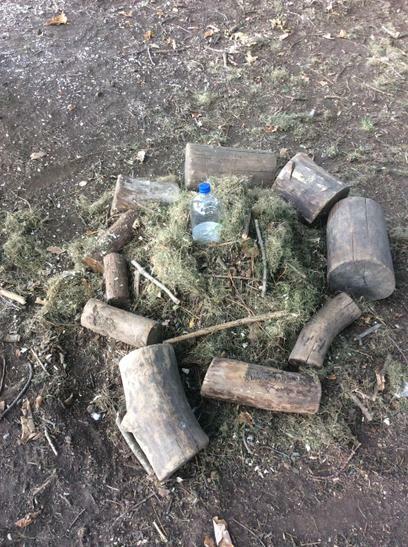 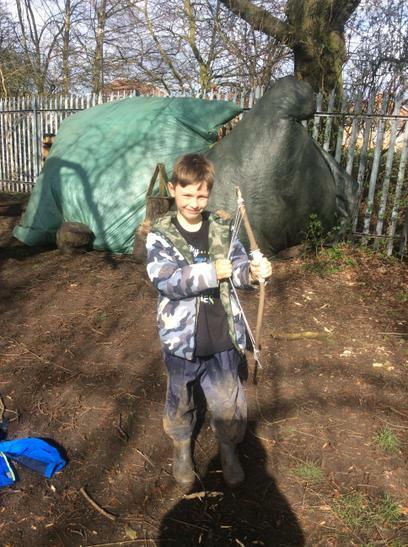 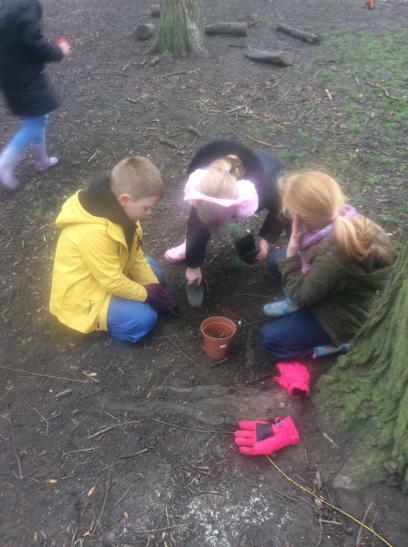 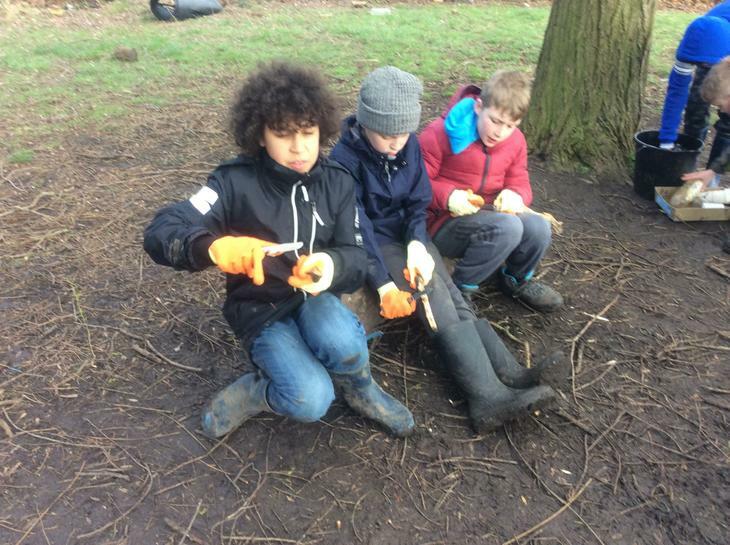 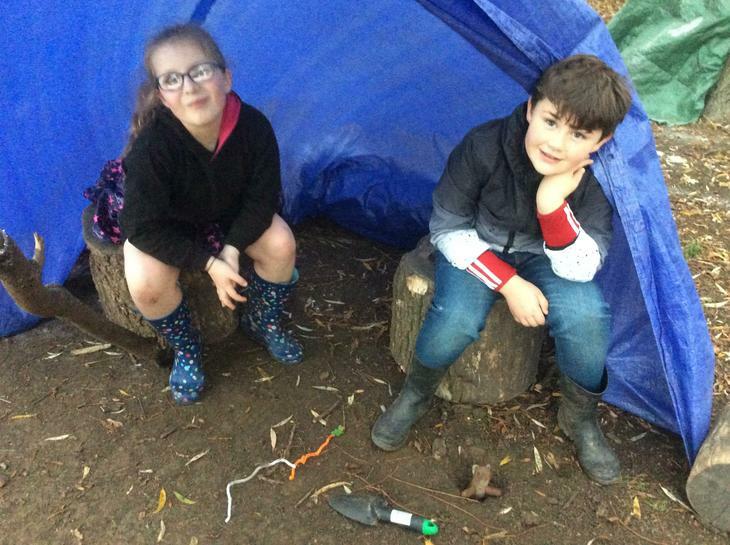 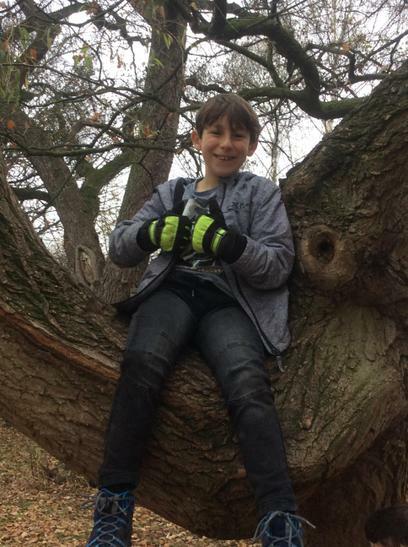 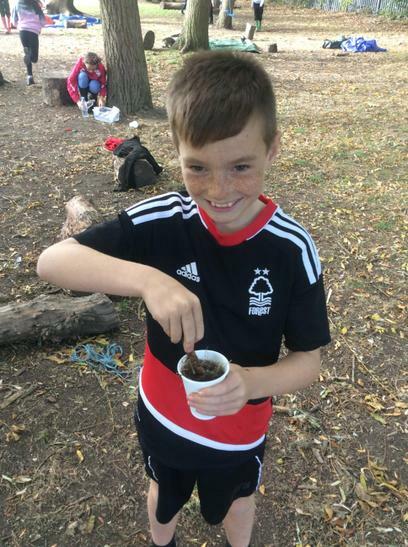 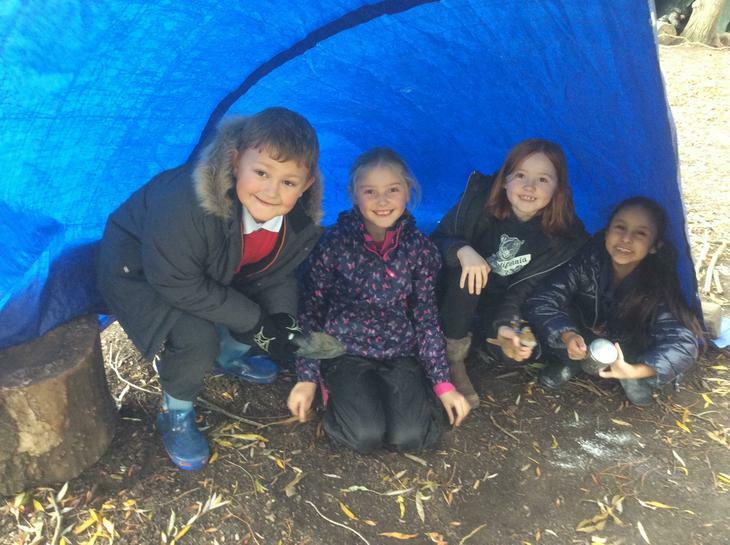 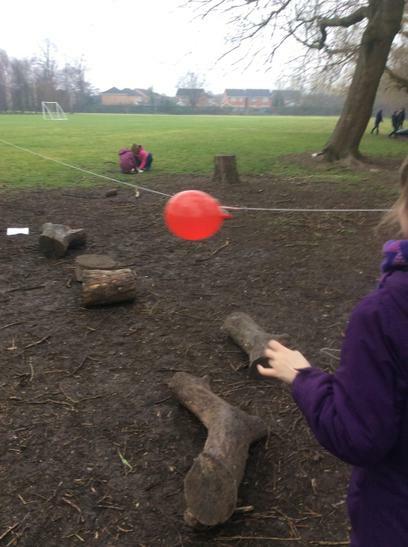 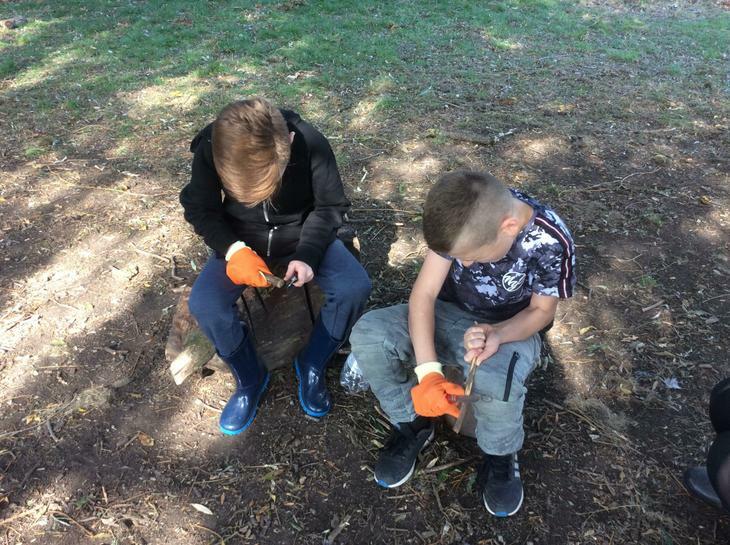 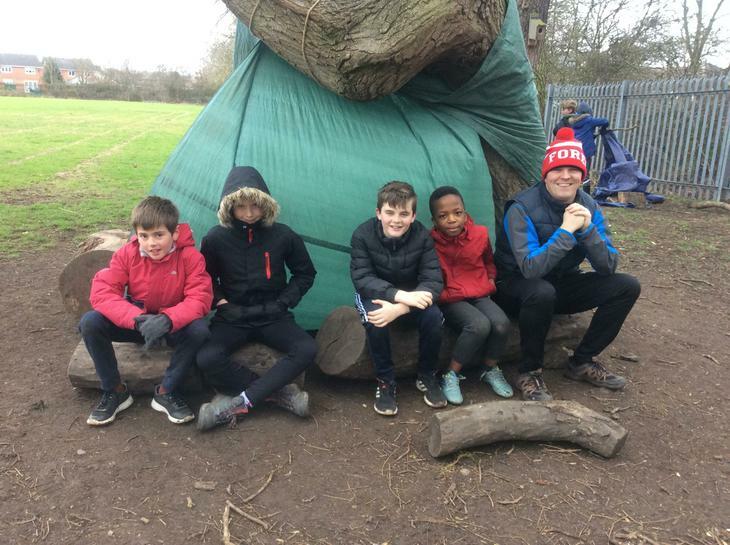 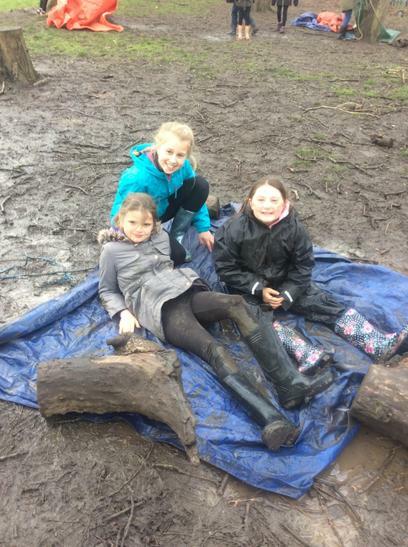 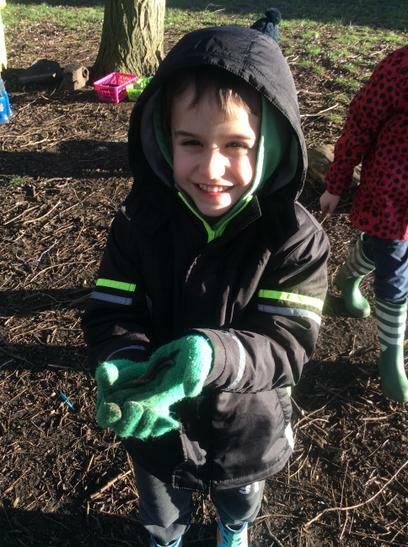 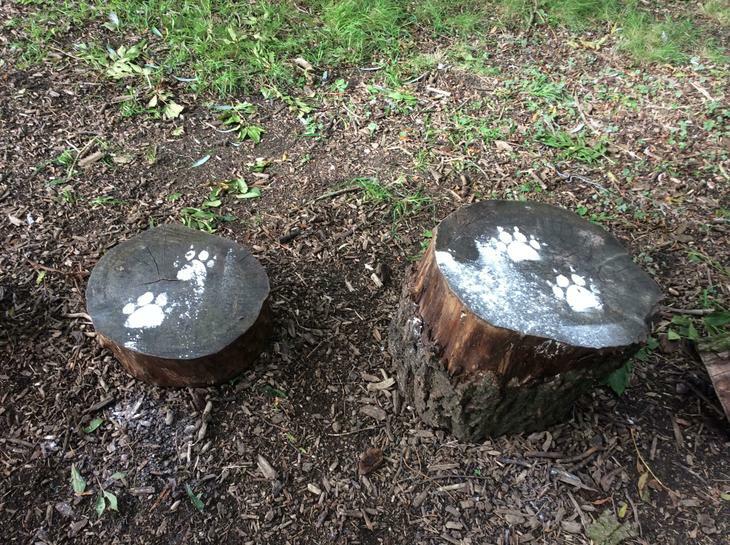 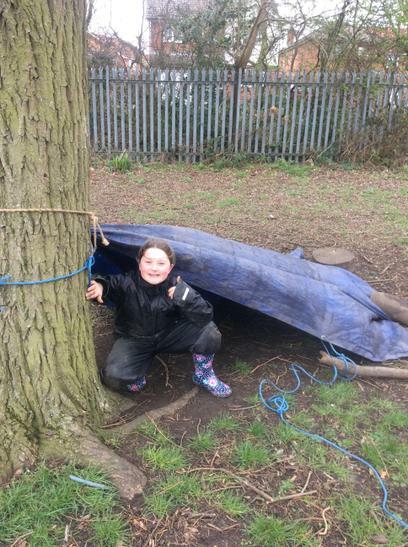 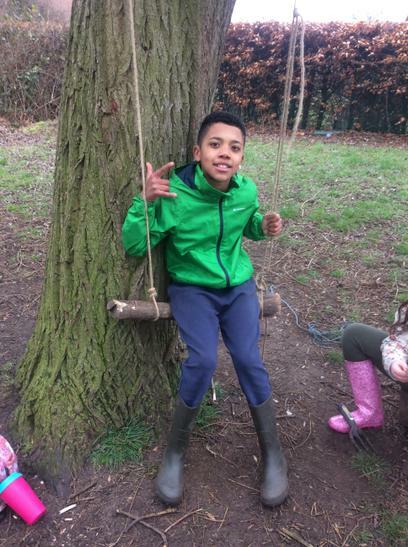 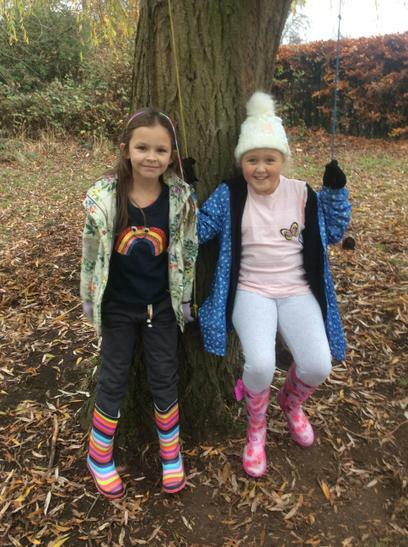 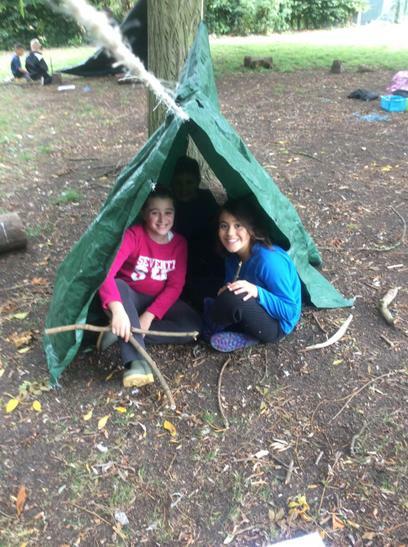 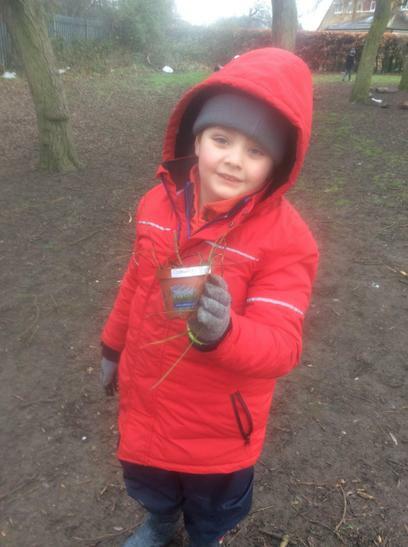 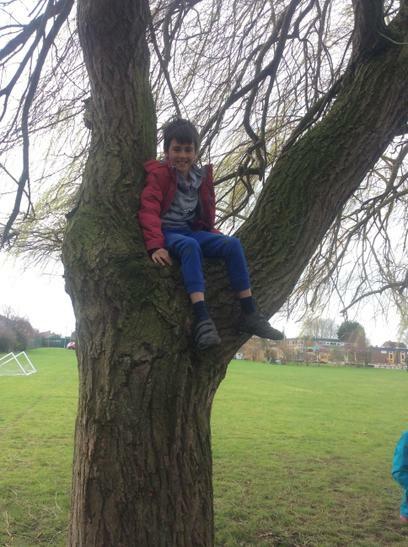 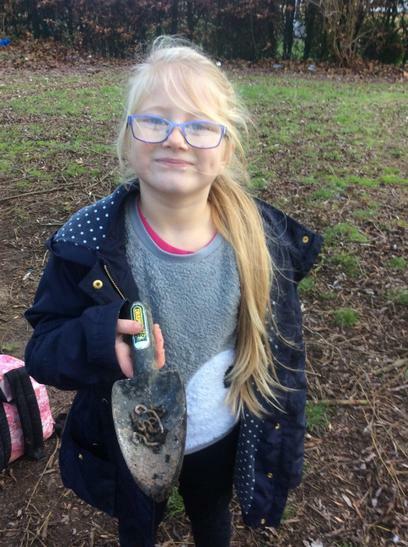 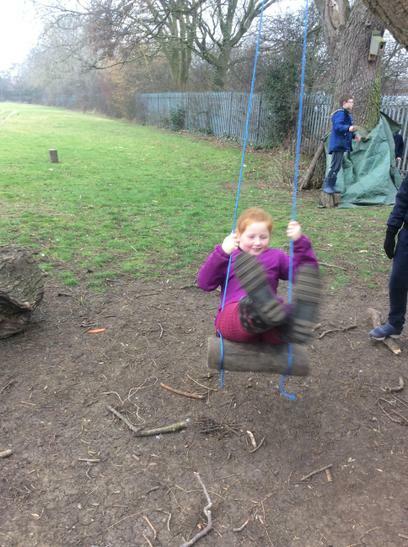 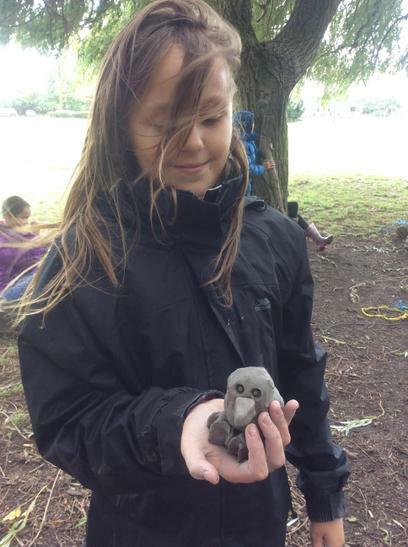 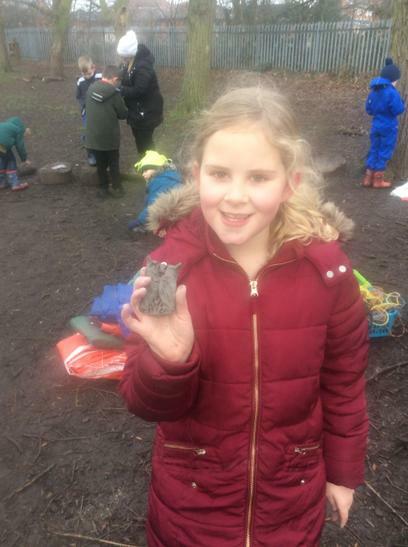 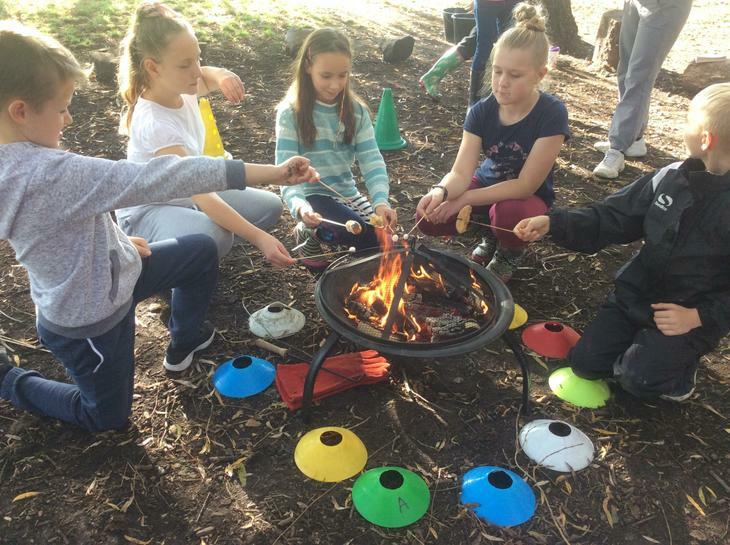 Here at Dovedale, we are developing a Forest School within our school grounds to give children the unique opportunity of experiencing first hand, play and learning in a controlled outdoor environment. 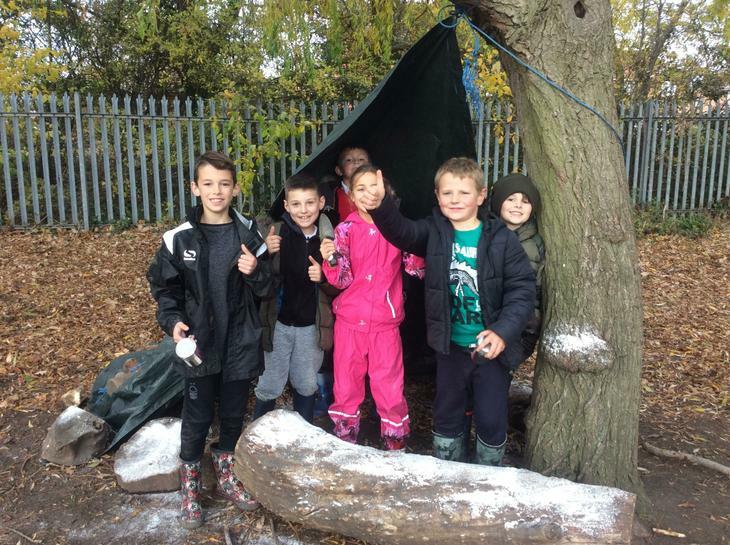 Forest School is the name for an approach to educating children in the outdoors on a regular basis. 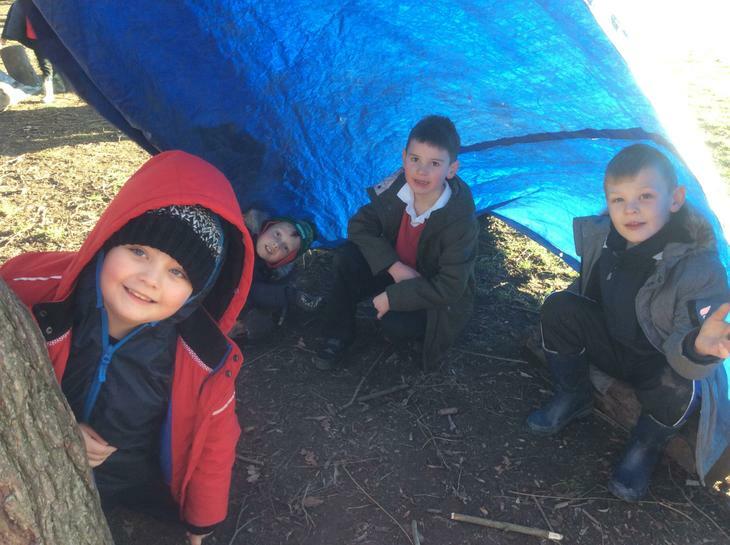 This work will support the main curriculum and will have emphasis on raising children’s self-esteem, independence and confidence. 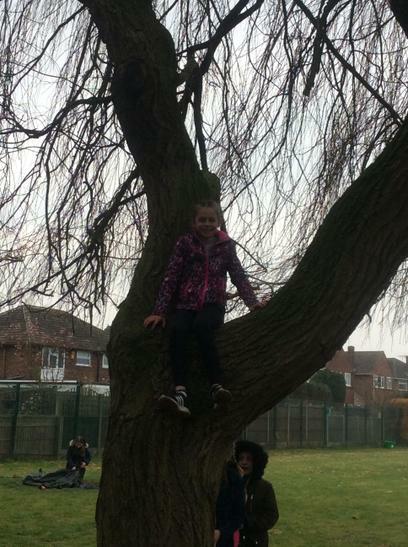 Learners are entitled to experience appropriate risk and challenge. 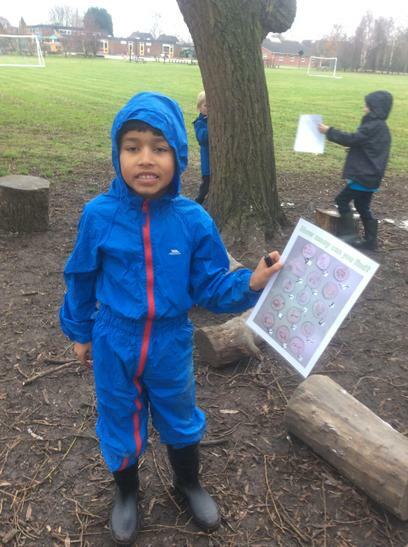 They are also entitled to initiate and drive their own learning and development. 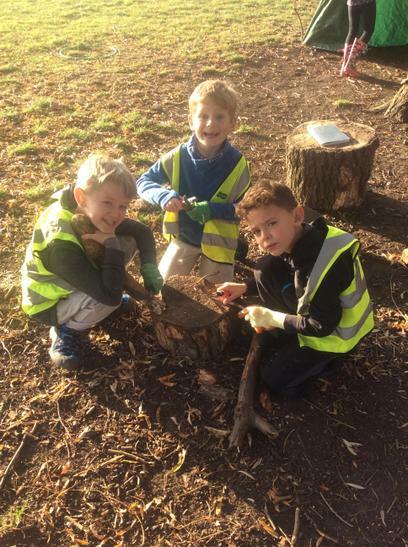 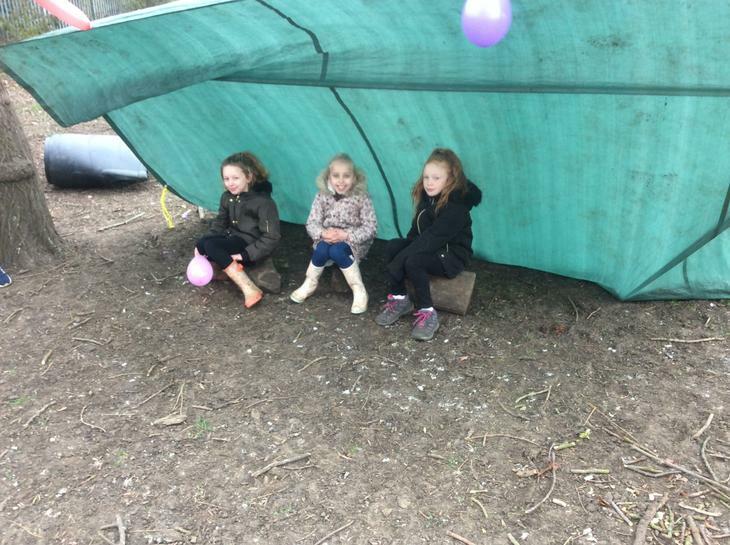 We have a qualified Level 3 Forest School Practitioner who delivers Forest School to Years 1 to 6 with each year group taking part for one half-term during the year. 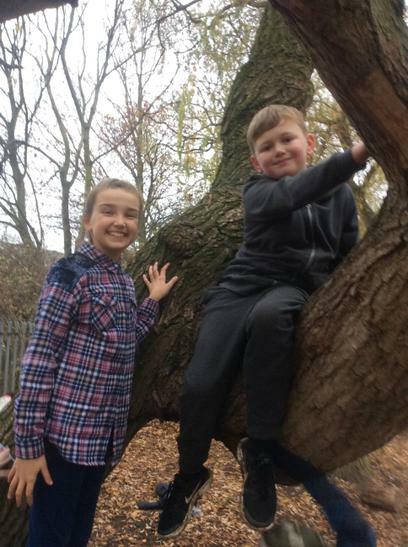 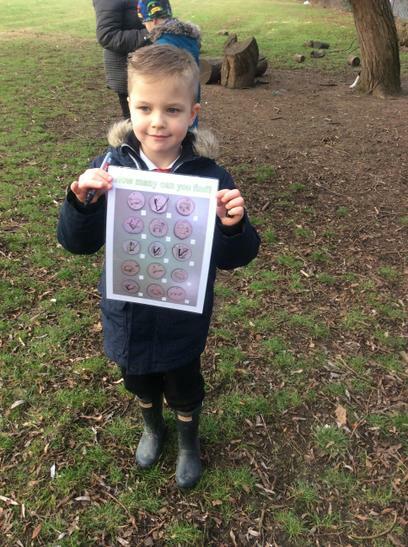 Here are some of the children's responses to taking part in Forest School during 2017-2018. 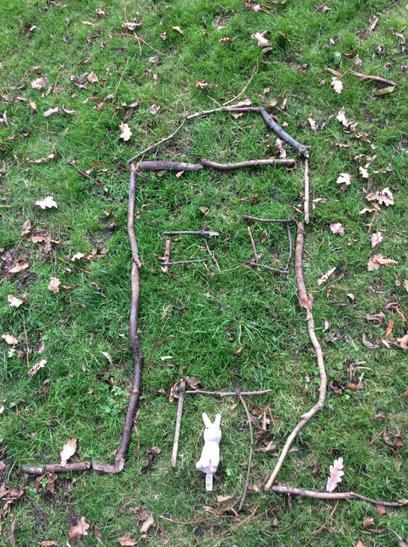 Harriett "It was fun making a bug city to house insects and decorating it"
Lucie "I enjoyed making the paw prints and making zip wires with the ropes"
Isla "I like Forest School because you can do trails and you can play with the logs"
Hadyn "I like the potato peeler because when you peel off sticks you can see underneath what it would be like"
Angus "I like the idea of Forest School and how you can create anything you want"
Amelia "I like using potato peelers, making wands and bow and arrows"
Sarah "Enjoy playing in the mud"
Devon "I like climbing trees"
Caitlin"I enjoy potato peeling and carving sticks"
Ocean "I like the bug hotels and getting the bugs in them because it was fun to see how they liked it"
Ostynn "I liked to splash in puddles and it is fun to go in the big barrel to hide and make people laugh"
Lottie "I enjoyed making things from the environment, last week we made a den out of tree branches"
Lacey "I liked making dens because you can hide in them"
Jason "I loved Forest School because you could do what you like and I like building things especially in the forest"
Korlen "I like Forest School 1, 2, 3 Where Are You because you can run off and get into different spaces"
Dylan "I like making things at Forest School"
Olivia "It's really, really fun because you get to climb trees, you wouldn't normally get too. 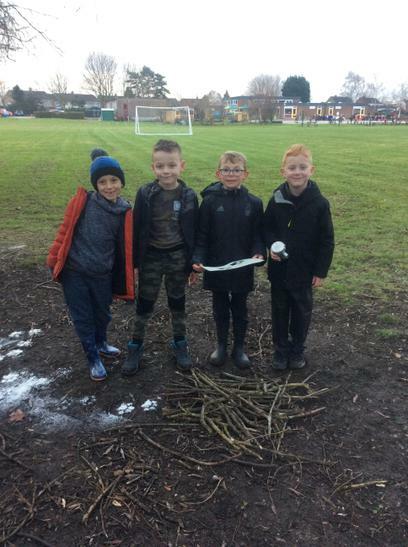 It's more fun than expected"
Kian "I like doing things outside that we don't normally get to do"
Ben "Great way to encourage people to use the environment around us"
Noah "Very fun, definitely get to use teamwork between friends, like den building, you are cooperating and showing respect for each other"
Louis "Better friendships, getting to know each other better"
Jack "Brings different people together"